Beatifully done. The old denim with a sharply fitted wool suit is an eye-catching mix. I think I just found my dream man. This is absolutely fabulously perfect. Just amazing. Great. Fantastic. great mixture of fabrics, textures, colors, and incredible style. That is a very sharp cat. 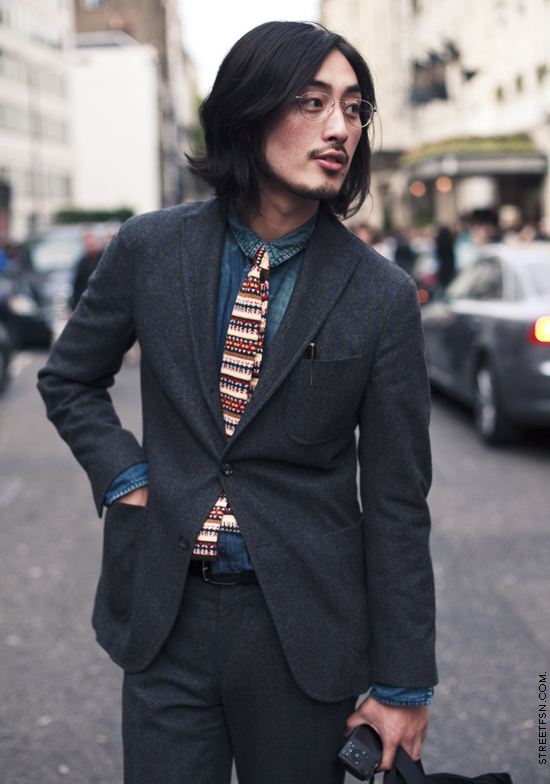 What a teriffic look...those Asians know how to ridicule us all with their style!